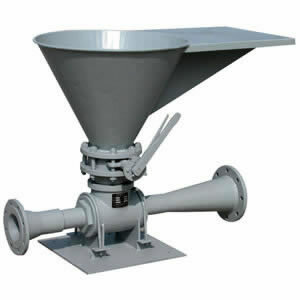 The mud hopper is primarily used to quickly mix drilling fluid and its additives. The additives of drilling fluid, such as barite powder, bentonite, salt, slurry and chemical additives, will be homogeneously mixed with drilling fluid before entering the drilling fluid system, which can improve the quality and reduce the consumption of drilling fluid, fully play the function of additives, save the cost of slurry, accelerate feeding and strengthen the mixing capability. Amalgamate speed Not lower than 300Kg/min for barite; not lower than 150Kg/min for bentonite. Rugao Yaou Company is a China-based mud hopper manufacturer and supplier. We have received the certificate of the American Petroleum Institute (API). Our major products include oil drilling equipment, wellhead control equipment, well cement tools, as well as shearing machines, and hydraulic press brakes. All our products feature reliable performance and are low-priced. Currently they are very popular with customers in Egypt, Singapore, United Arab Emirates, Kazakhstan, America, just to name a few. If you have any solid control equipment need, please feel free to contact us.